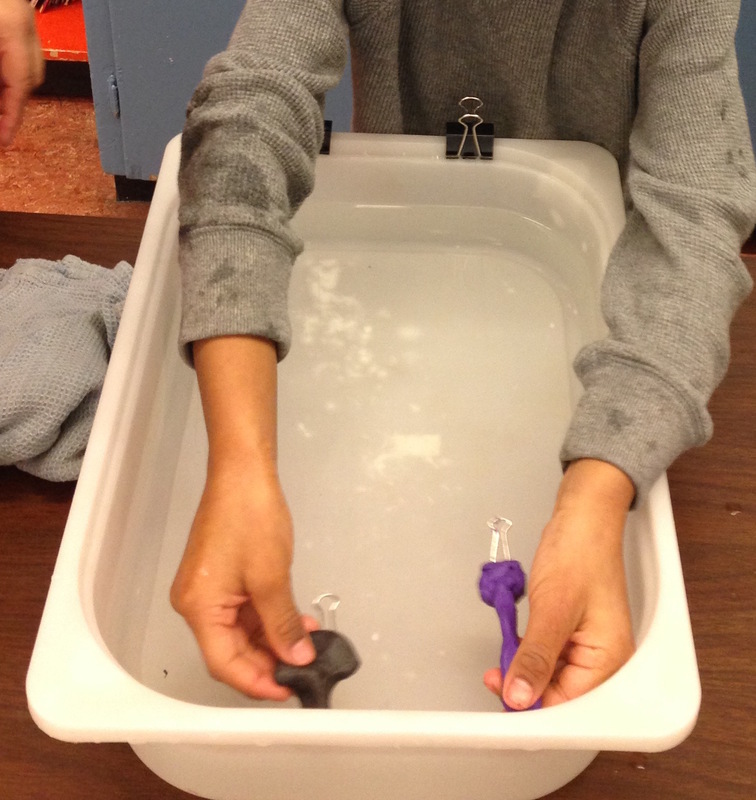 Move different shapes through water with a weight, to compare their speeds, and so how streamlined they are. 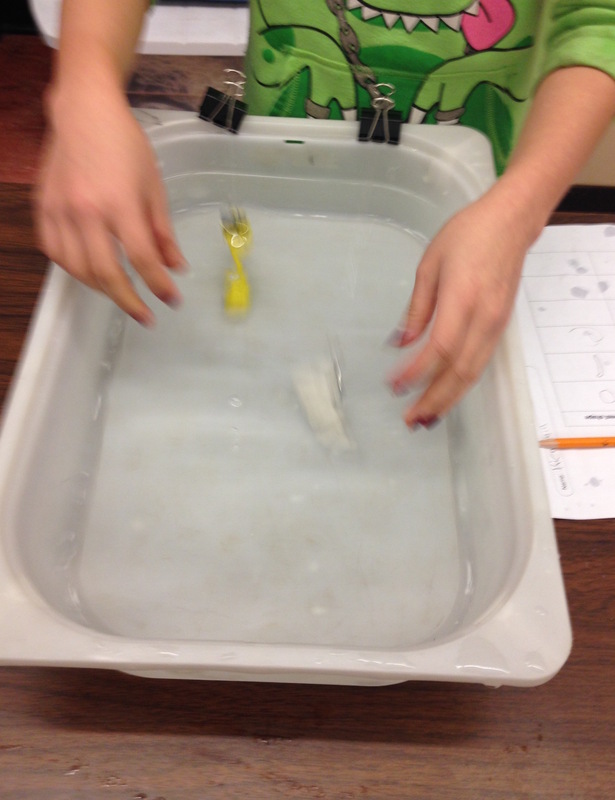 Compare to the shapes of animals that move through the water. 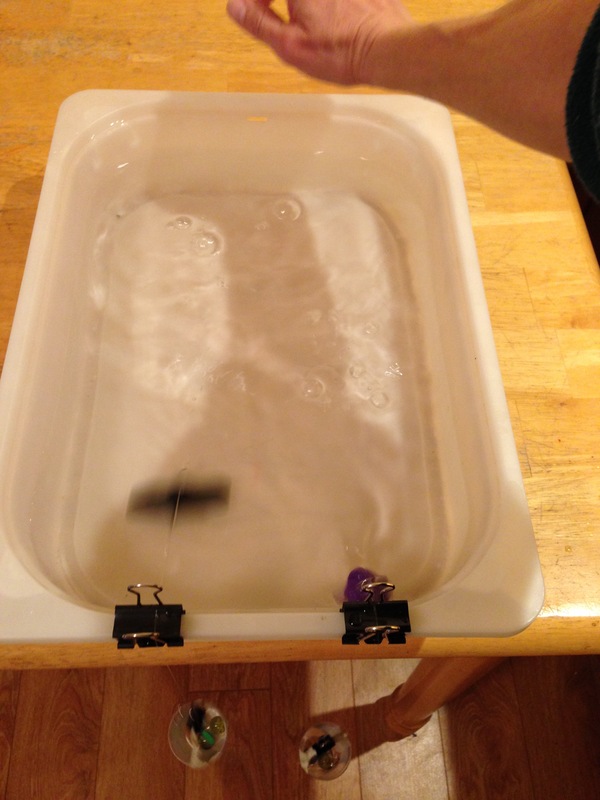 Cut a piece of fishing line a little longer than the tray. 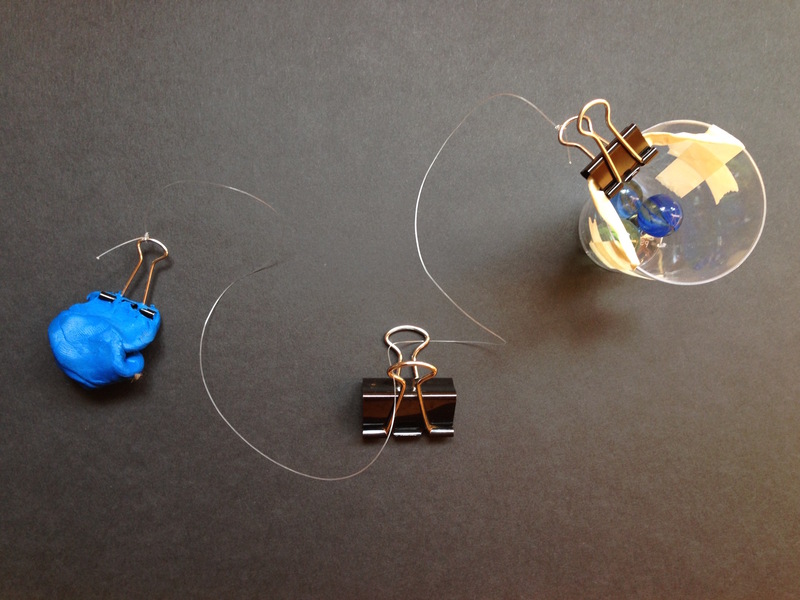 Thread the fishing line through the arms of the medium binder clip, then tie the free end to the other mini binder clip. Attach a little pot to this mini binder clip. See the first image for the result of these steps. Make two of these for one tray. 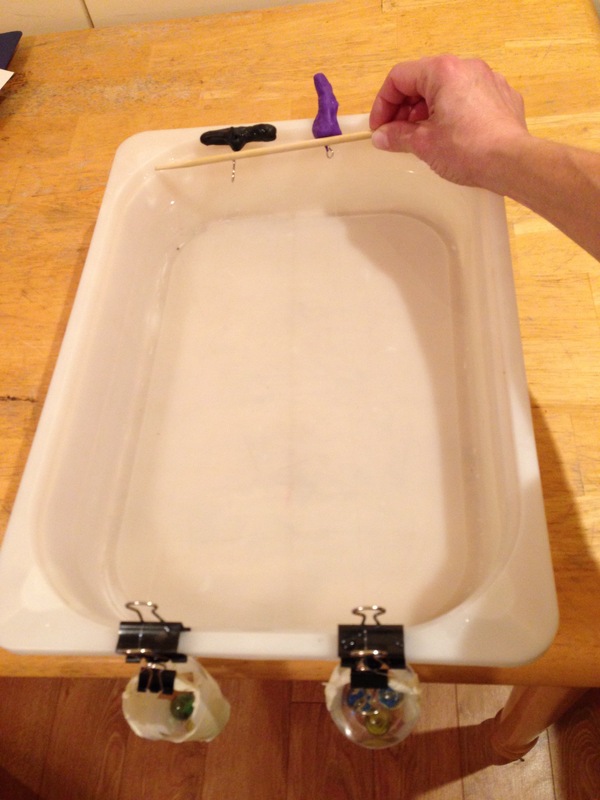 Half fill the tray with water, then attach the fishing line/clay unit at one end with its medium binder clip. 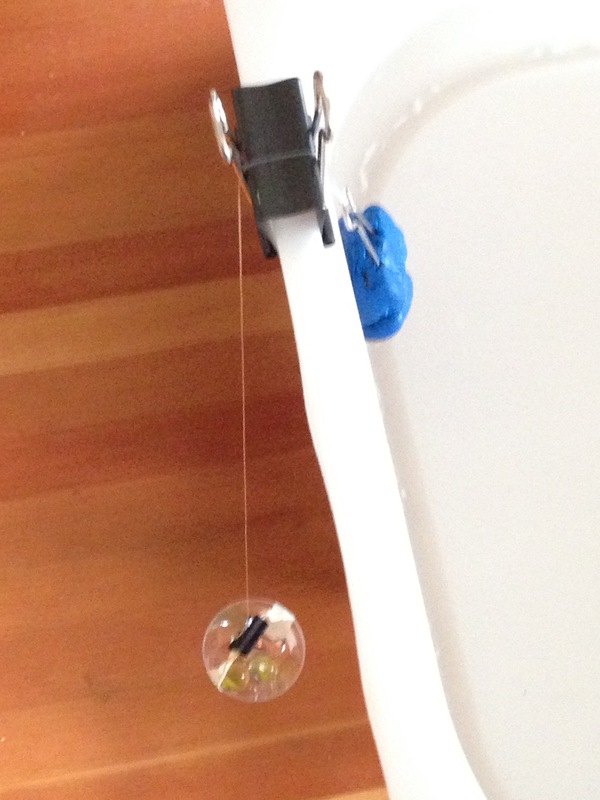 Allow the pot of marbles to hang down so that its weight pulls the clay up to the medium binder clip. Attach the second unit next to the first. 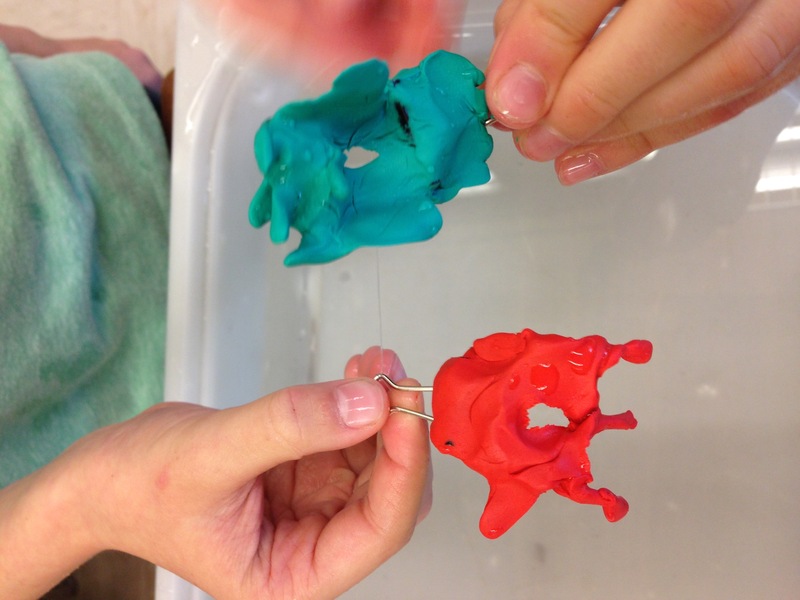 Make two different shapes from two pieces of clay in the same tray. Pull them both to the end of the tray and release at the same time. Do several times, to see which shape moves through the water fastest. In general, in the activity, wider shapes move more slowly than narrower longer "streamlined" shapes. Compare to fish shapes (an image of fish shapes in silhouette is useful for reference). The fish that can move the fastest (e.g. fish that hunt live prey, like salmon) have longer, narrower shapes than those that do not move as fast (e.g. fish that feed on plants or algae). Visualize using technique in turbulence patterns. Difference between streamlined and non-streamlined shapes.